A recipe that works out has to be repeated! 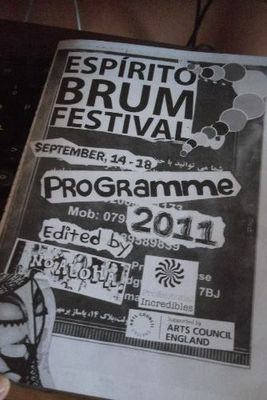 That is why Espirito Brum Festival returns to Birmingham, in the 2nd edition of the event, between days 11- 16 September. 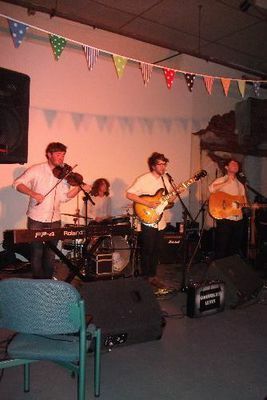 A constant global exchange is the perfect definition to the festival that brings together artist from Brazil and England in Birmingham. Concerts, workshops and art installations, theatrical performances, music, street art and other sorts of cultural exchanging! The recipe remains the same, but the ingredients of this mixture of success are always changing! In 2012, the Espirito Brum Festival also expanded to new locations, not limited only to Digbeth –mecca of the alternative culture of the city. Presentations at famous pubs like the Hare & Hounds in Moseley; in the beautiful square of King's Heath, and other venues are also included. As a highlight, Tin Box- a local theatre company, which explores the storytelling and visual performances, the Drum-Bass of Red Shark Soundsystem coming from Newport, Wales; the urban intervention artist Ribiane Maia from Espírito Santo (Brazil) and a quality Hip Hop from São Paulo with the boys from Dragões de Komono. The performances are mostly free and to know more about the full programme of Espirito Brum or to check the ticket prices, please visit the event website here.